The Whispered World plays like the classic point and click adventure games of previous decades and has an impressive and unique vibe to its gameplay. The game world is highly based on fantasy and features a young clown as its hero. 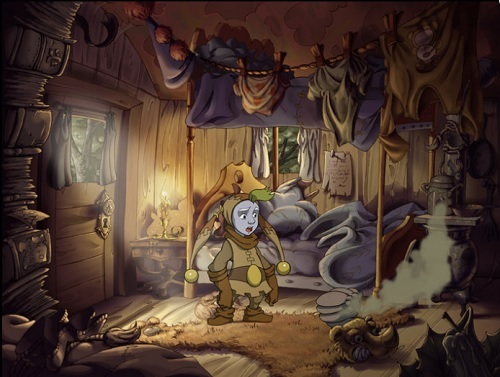 During the game players will explore the dram like world of Silentia as a young and sad clown known as Sadwick. Players will join Sadwick after he wakes up from a horrible nightmare that has been a recurring experience for the past few weeks. This nightmare shows the world falling apart and has such a realistic feel that Sadwick finds it hard to shake it off. Sadwick is part of a travelling circus and to clear his head he decides to take a walk in the nearby forest that the circus has recently stopped at which is where the real adventure starts. From here he meets a number of characters and learns more about the meaning of his dream. 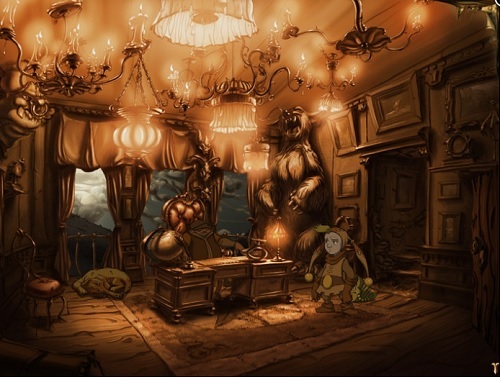 Visually the game has a unique art style that mixes 2D side scrolling and use of layers to deliver a unique visual presentation. The Whispered World follows pretty simple gameplay mechanic for your adventure with players using their mouse to inspect things or chat to NPCs in the game world. In order to help players they also can use the spacebar to highlight objects that can be interacted with which comes in handy if you ever get stuck and helps prevent frustration that other adventure games are sometimes plagued with. In terms of puzzles players can expect the usual inventory storing puzzles to make up most of the gameplay. One unique puzzle aspect involves Sadwick’s pet caterpillar Spot that can transform into a number of forms which aid in puzzle solving. The Whispered World is a very enjoyable point and click adventure that offers a perfect dreamlike atmosphere with some clever puzzles. Explore a dreamlike world with plenty of beauty. Play as the young clown named Sadwick (and his pet caterpillar Spot). Enjoyable and well put together puzzles. Available on Windows, Mac and PC.